When I think about diabetes and what I’d like to see changed, one word comes to mind. Well maybe 2, a cure would be a nice change. But the word I’d like to focus on is integration. Integration. I could yell it from the rooftops. Integration would make diabetes so much easier to manage. It would make communication so much more effective. It would make our lives in general a little less burdensome. 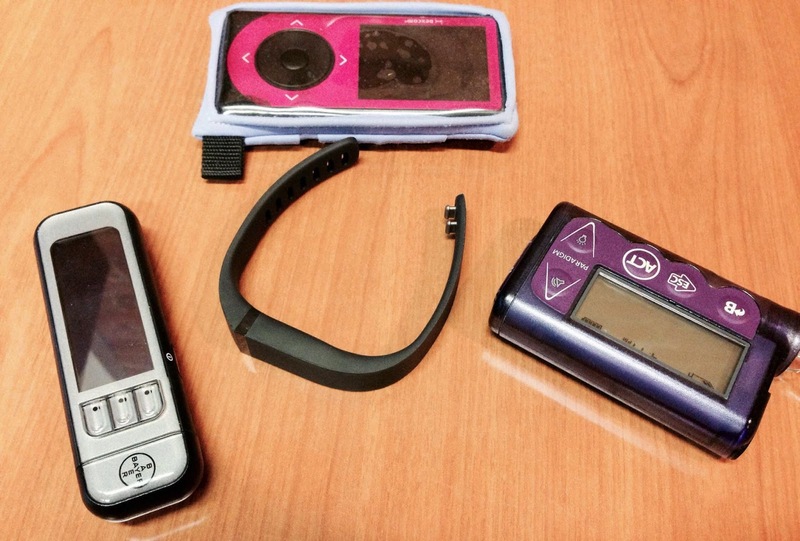 I want diabetes devices talking to other diabetes devices. I want my pump, my meter, and my CGM to all communicate constantly. And while I know this is unrealistic, I wish that this communication could happen across companies so that my dexcom CGM could talk to my Medtronic pump or a Bayer meter could talk to an animas pump. I want numbers and data flowing freely from one to the other, whether it’s then used in a calculation, helping to inform a decision, or just being stored for later retrieval. I want diabetes devices talking to non diabetes devices. I want my CGM numbers and my pump talking with my phone, presenting my data (carbs, boluses, blood sugars) in an easy to read and accessible manner in an app. I want their data showing up on a graph on my computer or tablet. I want other apps that I’m using to integrate in a platform with my diabetes data, whether it’s food tracking that I do or exercise tracking. How great would it be for one app that would have my carb and bolus information from my pump, graphed against my blood sugars that are collecting from my meter and CGM, informed by my Fitbit tracker active minutes and steps, and integrated with the food that I tracked during the day in My Fitness Pal?! Think about how much easier it would be to see a trends and potential causes for highs and lows. Based on the food you ate here, it looks like you gave too much insulin and that’s why you dropped low here. I want ALL of these devices talking to my doctor. I want to be able to walk into my endocrinologist’s office or even my primary care physician, or eye doctor, or really any doctor’s office and have all of this information available to them. I want the information from all of my devices to be consolidated into a format that is integrated right into my medical record. Then when I go to the endo, they aren’t making suggestions based off of just my CGM, they are looking at the complete picture with little burden to me since all of this uploading, syncing, and integration happens automatically. I’m hopeful that these changes are coming soon, that this is the future of diabetes self-care. Integration will be a requirement, not just a nice feature. This post is part of the 2015 Diabetes Blog Week. Today’s topic: Today let’s talk about changes, in one of two ways. Either tell us what you’d most like to see change about diabetes, in any way. This can be management tools, devices, medications, people’s perceptions, your own feelings – anything at all that you feel could use changing. OR reflect back on some changes you or your loved one has seen or been through since being diagnosed with diabetes. Were they expected or did they surprise you? You can read more posts on this topic here.